DecoTurf provides the world’s best acrylic surfaces. 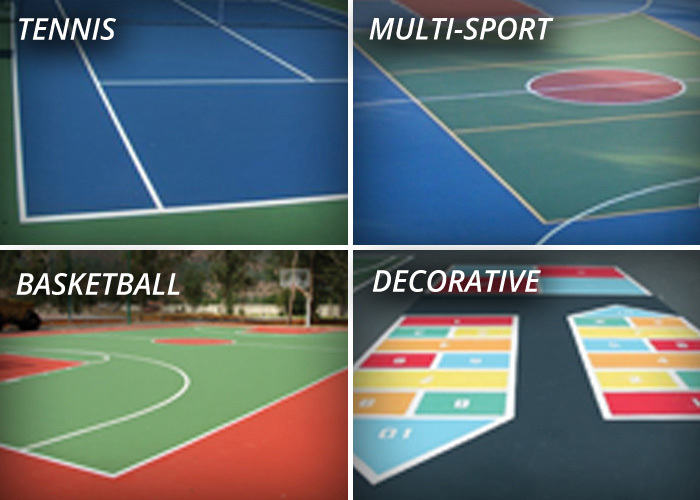 Professional and residential customers alike consistently choose our sports courts for tennis and basketball court surfaces as well as other projects where a reliable and consistent playing system is required. View our project gallery to see real-life application of our products and colors.